Looking out for a granite table top for your home kitchen counter? Want to have granite flooring installed in the bath area of your house? Well, modern homes indulge in granite, but getting granite installed does not complete your task. You will need to maintain granite so that it dwells longer. Diamond polishing discs are ideal to keep the polished state of the granite active for a long while. You will find that these polishing pads stuck with diamonds on it are ideal for polishing a granite surface. Let’s understand how you polish granite structures using a diamond sanding discs. When you are planning for polishing the granite surfaces, you need to have some tools handy. Here is a list of the tools that come handy for polishing granite tops with polishing discs and pads. You will need a diamond profile wheel to support grinding. You will need a grinder and diamond blade which will assist in cutting. With a hand profiler you can profile the radius of the granite to create the table top. Diamond sanding discs and polishing pads will assist in polishing the various edges and corners of the tabletop. Finally with the glazed polishing pads, you can re-sharpen your table top edges. Before you begin with the polishing actions, you need to profile your graphite tabletop to match the outline you have raised for it. Make sure you are aware of how you want the tabletop to appear. Fix the profiler to the drill and cut the granite along the area you wish to mark for it. With the drill and profiler you can make a nice smooth edge along the granite. You should use the grinder to surface the edge perfectly. Once the diamond blade cuts the angle and the grinder can surface the edges perfectly, you have shaped the whole granite to suit your needs. You begin the whole task of polishing the granite with diamond polishing discs attached to the drill. Now run the drill with the polishing disc attached to it along the surface you have just profiled. The 200 grip or the 480 grip would help you polish it easily. You will find that eventually the color will begin showing off. 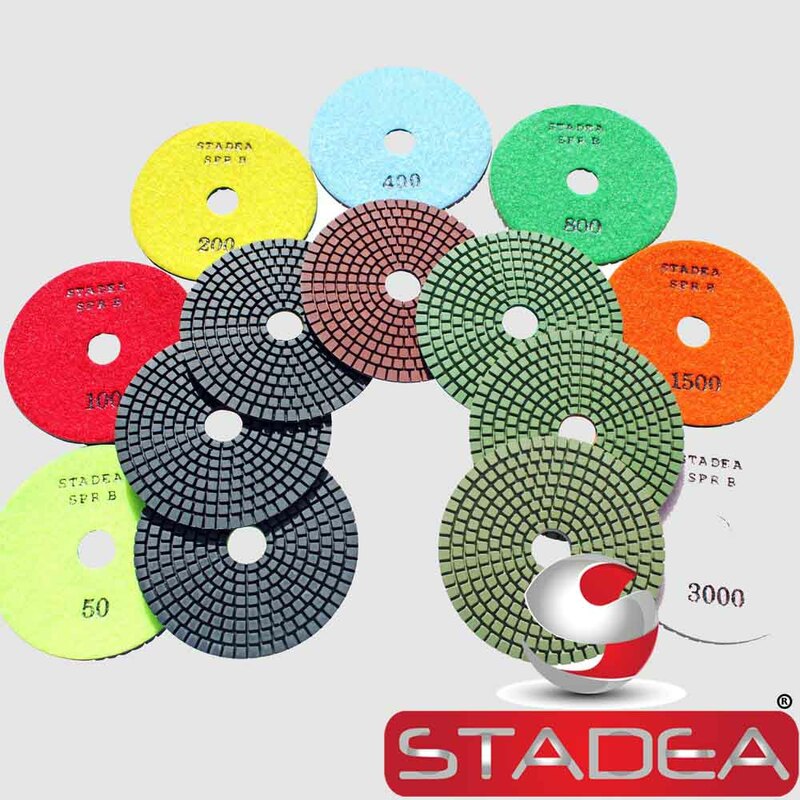 The diamond polishing discs you used to finish polishing the granite table top will eventually complete the task at 3000 grip setting. When you plan to polish or profile your granite table top using diamond sanding and polishing discs, you should have all the tools in hand. Make sure you use a good grip setting to polish the granite table top. 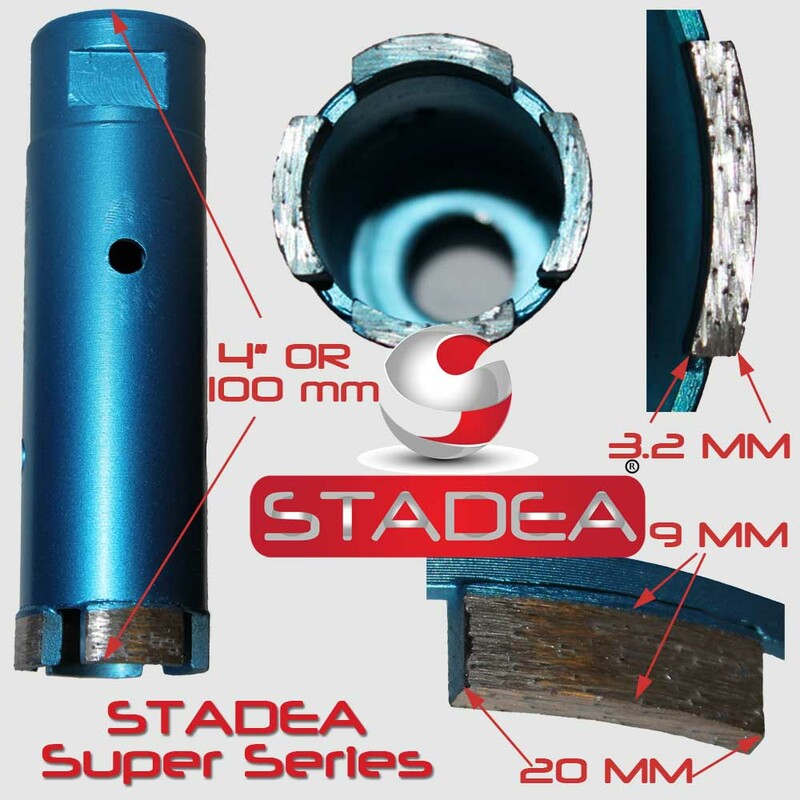 Stadea diamond tools and accessories are industrial grade high quality products with superior durability. No wonder, it is one of the top choices of stone professionals. All tools are quality tested for best performance strength and durability. 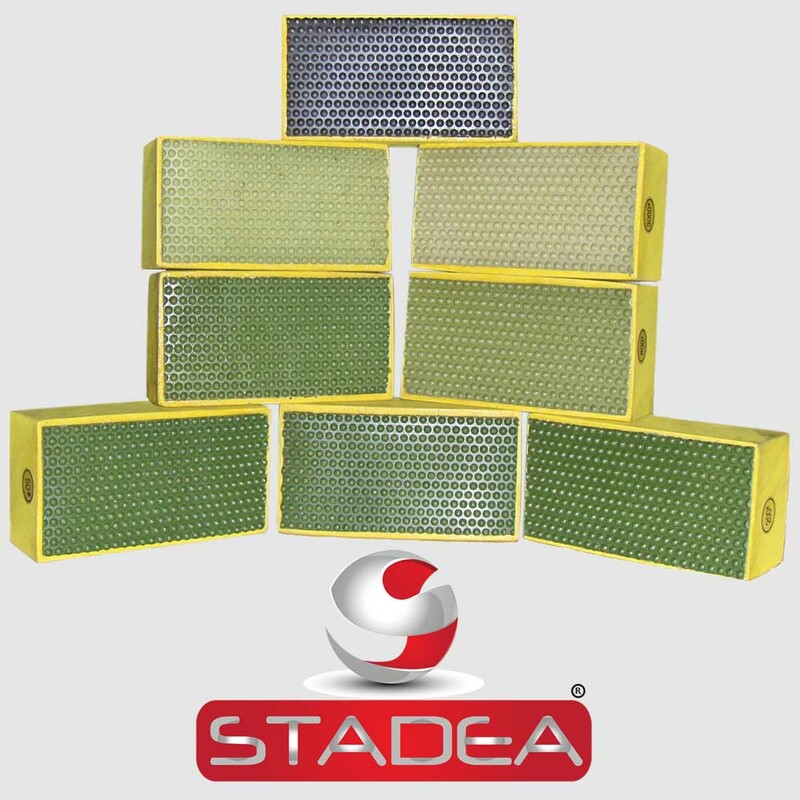 Stadea tools are designed for effectively reduce your turnaround time delivering top notch quality results. Competitive pricing, durable quality tools, superior quality finish results in effectively reduced cost of stone manufacturing and fabrication. 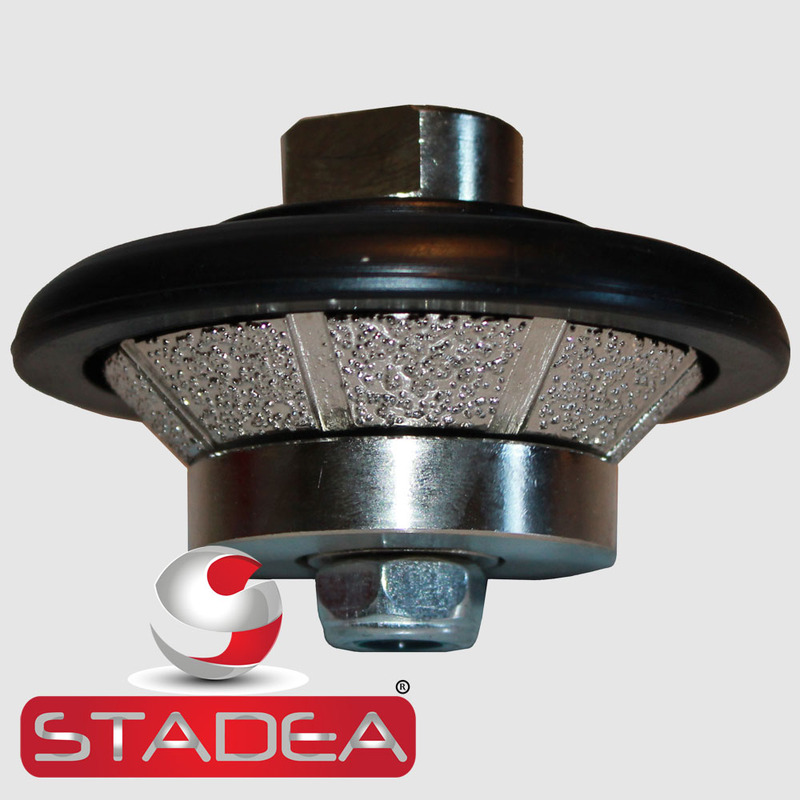 Buy Stadea tools today, take a step forward to beat your competition. 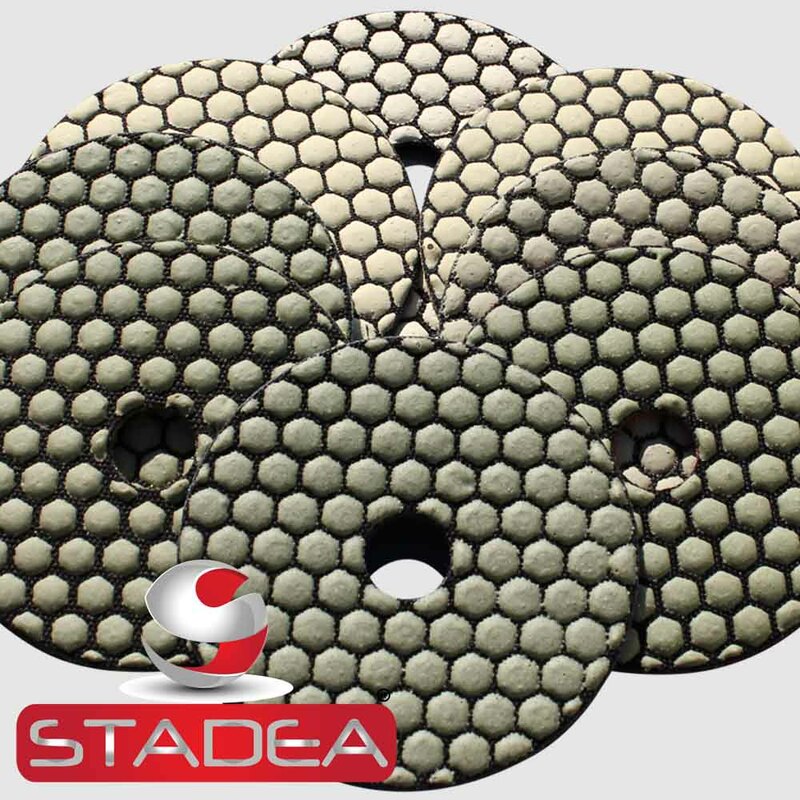 Stadea diamond tools are preferred choice of stone fabricators, manufacturers and DIY'rs. These tools are quiet popular in USA, Canada, Australia, UK, Germany, Israel, Brazil, Singapore, South Africa and more.